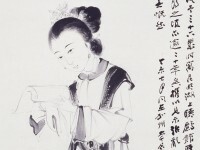 As a traditional guohua ink painter, Fu Shuda (died 1960) is a little-known artist. He was probably trained in guohua in Beijing when he was young. From 1937 to 1941, he lived in the USA designing book illustrations. Fu returned to China in 1948 and he died in 1960, probably of cancer contracted during a long term in prison. The artist was a close friend of Geoffrey Hedley (died 1958), who was an official of the British Council and responsible for cultural liaison. This painting was bequeathed to Khoan (1919-2003) and Michael Sullivan (1916-2013) by Hedley in 1960. The friendship between Michael and Hedley started in the 1940s in west China. Hedley’s collection of Chinese painting included works by important 20th century artists such as Fu Baoshi (1904-1965), Pu Xinyu (1896-1963), Huang Yongyu (born 1924), and Qi Baishi (1863-1957). The bequest therefore immensely enriched Khoan and Michael’s collection of Chinese art. 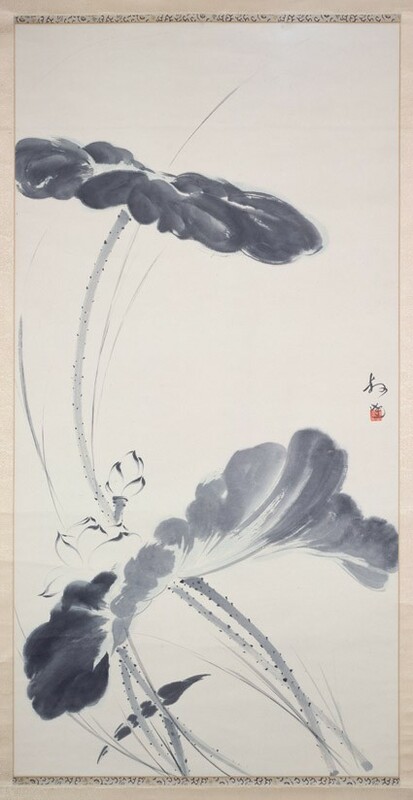 If it were not for Hedley’s friendship with Fu Shuda, Fu’s work would probably be almost unknown in the West, through his skilful composition and use of ink, as demonstrated in this painting, would have ranked him among the outstanding ink painters of 20th century China.